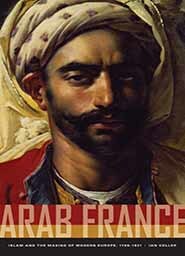 Ian Coller, Arab France: Islam and the Making of Modern Europe, 1798-1831. Berkeley and Los Angeles: University of California Press, 2011. xi + 288 pp. Figures, notes, bibliography, and index. $60.00 U.S. (cl). ISBN 9780520260641; $24.95 U.S. (pb). ISBN 9780520260658; $20.00 U.S. (e-book). ISBN 9780520947542. 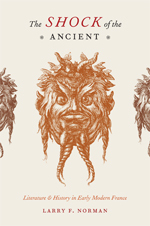 Larry F. Norman, The Shock of the Ancient: Literature & History in Early Modern France. Chicago and London: The University of Chicago Press, 2011. viii + 288 pp. Figures, notes, bibliography, and index. $45.00 U.S. (cl). ISBN 978-0-226-59148-3. Eric T. Jennings, Imperial Heights: Dalat and the Making and Undoing of French Indochina. Berkeley and Los Angeles: University of California Press, 2011. 352 pp, 37 ill. Notes, bibliography, index. $60.00/£41.95 (pb). ISBN 978-0-520-266599. David M. Pomfret, The University of Hong Kong. Panivong Norindr, University of Southern California. Tyler Stovall, University of of California, Berkeley. Jennifer Anne Boittin, The Pennsylvania State University. 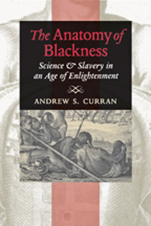 Andrew S. Curran, The Anatomy of Blackness: Science and Slavery in an Age of Enlightenment. Baltimore, Md. : Johns Hopkins University Press, 2011. xiv + 310 pp. Illustrations, notes, bibliography, and index. 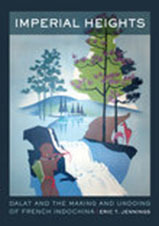 $75.00 U.S. (cl) ISBN 978-1-4214-0150-8. $29.95 U.S. (pb) ISBN 978-1-4214-0965-8.